A Village Life: The Downside of Village Life? The Downside of Village Life? So a lot of my blog posts have been about the golden positives of village life--the sense of community, the quaintness, the pleasant feeling that you are living in an Agatha Christie adaptation--but hopefully not as the murder victim! I love all the villagey things--school and church fetes, neighbors who know you, allottment and post office shops (one per village only, of course!) and a milkman who chats to you on a regular basis. However village life isn't one long rosy montage of those moments. There can be some downsides--and one of them is a tendency towards gossip. 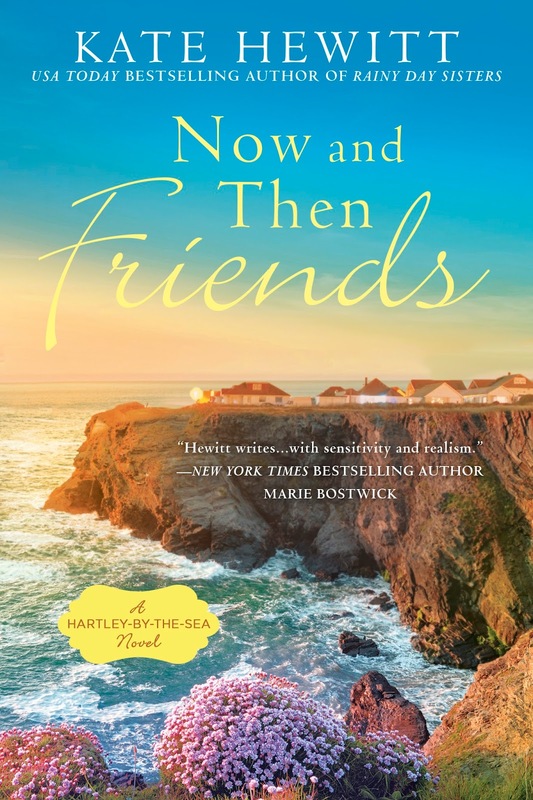 Gossip, or crack, as the Cumbrians call it, is an important issue in my new Hartley-by-the-Sea book, Now and Then Friends. It's hard to avoid gossip when living in a small place. Much of it is harmless, a lot of it well meaning, but some... not so much. Even the well-meaning gossip can be a bit disconcerting. A few weeks into our village life in Cumbria a complete stranger stopped me in the street and asked me if my two-year-old daughter was sleeping better. Stunned, I stammered a reply, only to realize as we continued the conversation that the woman was the anonymous stranger who had left two gorgeous crocheted blankets on our doorstep without even a note--her way of welcoming us into the village. She called them her 'magic sleep' blankets. But of course there is a nasty side to gossip, and while I haven't experienced it personally (at least not that I know of!! ), I know it exists. The inevitable twitch of the net curtains, the meaningful look, the whispered word... It's hard not to get paranoid sometimes. On the flip side, it can be hard not to be drawn into gossip. More than once I've been standing in the schoolyard happily chatting with other mums when suddenly someone who is not present is getting skewered, usually under the guise of false sympathy and a lot of sorrowful head-shaking. It takes some will power to stay silent or better yet, walk away.